The Office of Research and Scholarship provides training and resources to support and celebrate faculty scholarship and student-faculty collaborative research. Hope College has a strong history of faculty scholarship and student-faculty collaborative research. This office extends and strengthens these areas by offering resources, training and collaborative opportunities as well as celebrating the research and creative inquiry of faculty and students. In the fall, Hope College welcomes first-year students with opportunities to engage in research from the start with programs like Day1, FACES and Phelps Scholars. Throughout the school year, students continue to collaborate with faculty mentors in the arts, sciences, social sciences and humanities. Every spring we celebrate student-faculty collaborative research through the Celebration of Undergraduate Research and Creative Performance. Each summer we welcome hundreds of students to campus for paid summer research experiences. To make this possible, faculty work with the Office of Sponsored Research to identify grant sources and other funding opportunities. The Human Subject Review Board and Hope College Animal Care and Use Committee walk faculty and students through approval processes when research involves animals and human subjects. Our office provides training through the online CITI courses as well as in-person ethics training for summer research students. Faculty have opportunities to network across institutions through the Council for Undergraduate Research, and students can present their work more broadly at the National Conference for Undergraduate Research. In addition, this office can connect you to other resources on campus. 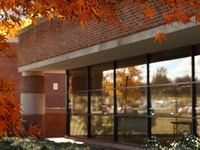 The Frost Research Center provides survey research services and data analysis. The Office of Sponsored Research helps faculty identify possible sources of funding as well as craft and revise grant proposals. Van Wylen Library supports scholarship with an extensive in-house collection and online databases. We are always eager to connect with members of Hope's community and beyond about issues related to scholarship and research. Email our office or the Associate Dean for Research and Scholarship directly. Students: Get involved in faculty-mentored research! 380 Hope students across 28 academic departments presented 250 posters at the annual Celebration of Undergraduate Research. Hope has been awarded $30 million of external grants over the last decade. During the Fiscal Year 2018, 28 grants and contracts were awarded, totaling over $6 million. Hope is only one of seven liberal arts colleges in U.S. News & World Report's listing of excellence in Undergraduate Research and Creative Projects.